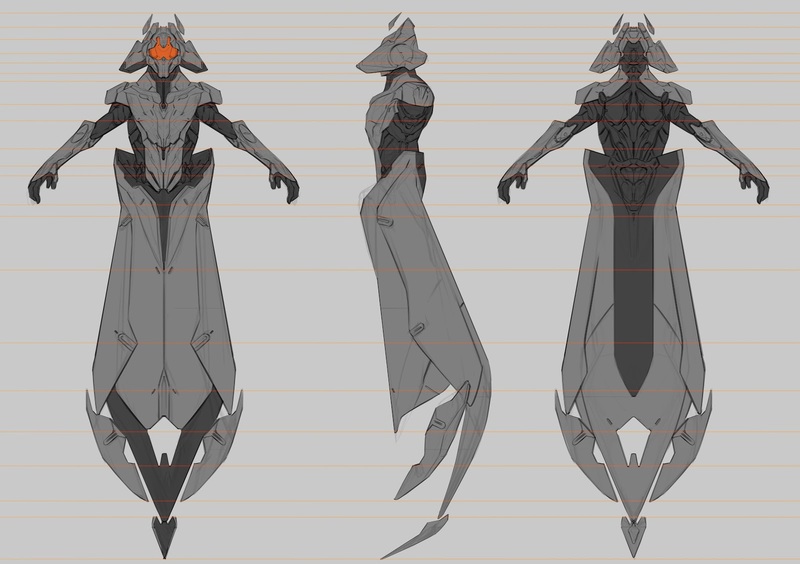 A small question to you Paul, while you designing severals variants of characters, armor suits, etc. do you have some sort of design-document describing each version of the stuff your drawing, or you just have very basic explanation of what you are supposed to do ? 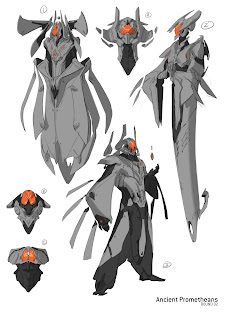 I think the Prometheans needed to be a cross between the Librarian and the Didact. So Gabo and I had that stuff up as we worked, but everything was improvised.